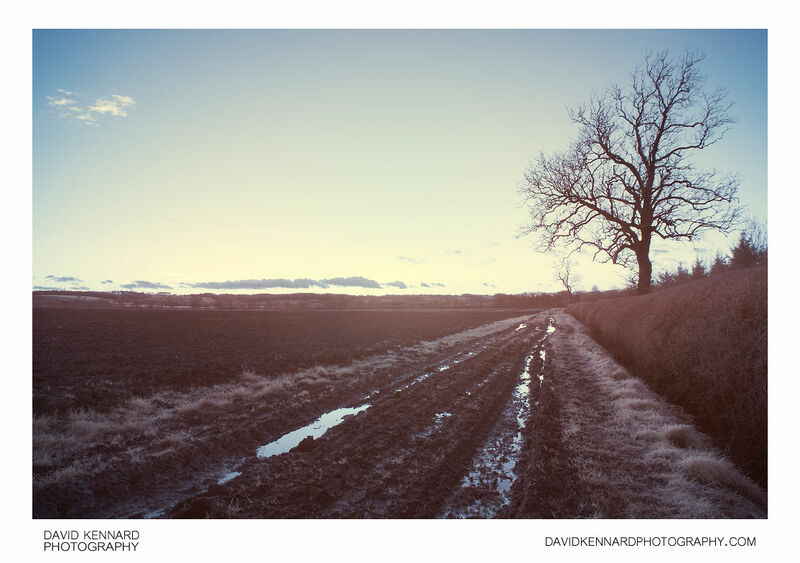 Looking east along a muddy track by the edge of a field towards a horizon featuring the afterglow of the set sun. At the right of the track is a hedge, with a bare winter tree rising from it. On the right is a bare, ploughed field. The muddy vehicle tracks along the track are filled with rainwater, reflecting the empty sky above. Along both edges of the track are small grass verges. The photo was taken using a mixture of deep red and near-infrared light, then processed to produce the colours seen here.